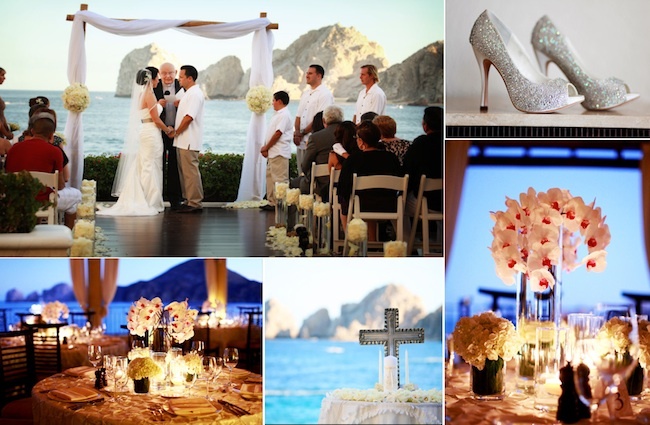 With 360 days of sunny weather, there is no surprise that many people have destination weddings in Cabo San Lucas. You are almost guaranteed a stunningly beautiful day for your wedding. 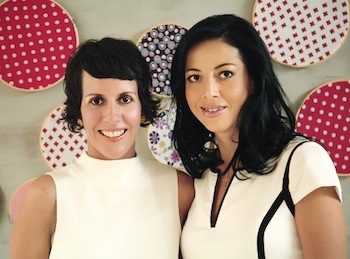 Sarai Flores and Martha Huerta from SIGNATURE, Event Consulting & Design are the people who add the finishing touches make those destination weddings perfect. 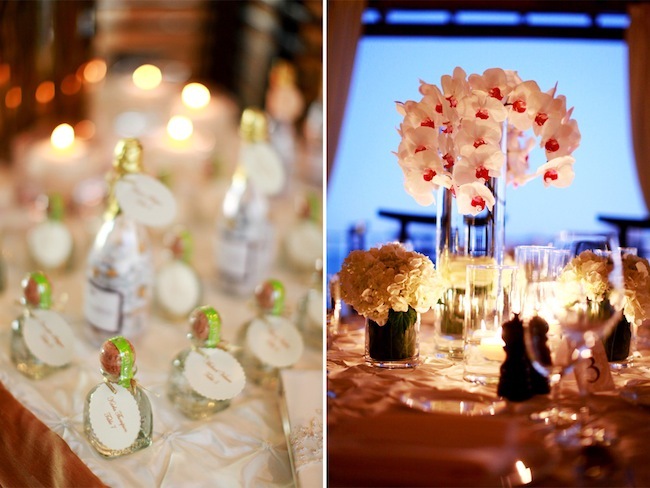 Signature specializes in intimate luxury destination weddings and events. They are based in the Los Cabos area, but also plan events in the Riviera Maya, Puerto Vallarta and other places throughout Mexico. Signature has recently been named to Destination Weddings & Honeymoons Magazine’s A-List and expanded to include a new staff member – Christie Anderson joined the team as the Media & US relations representative. 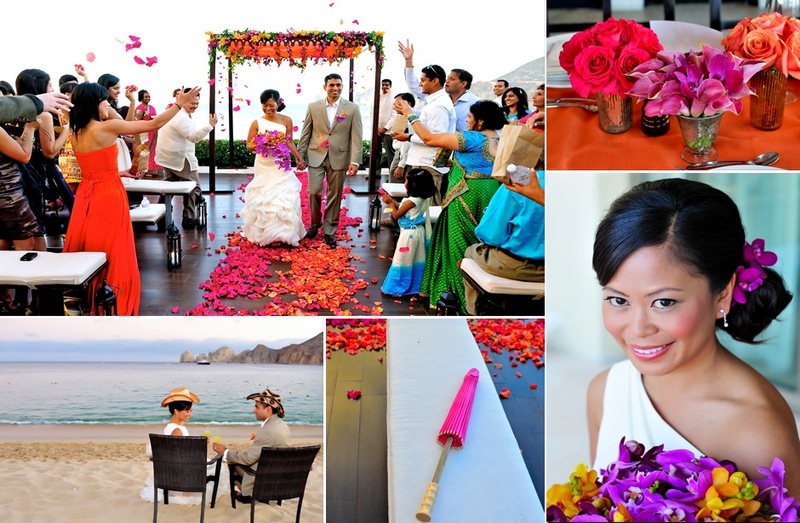 Sarai and Martha shared a little bit about why they love designing destination weddings in Cabo and how they got there. How did you first get involved in designing weddings? Martha and I both have had a long career and strong background in the hospitality industry. While Martha specialized in incentive and meeting planning, I worked in marketing and business communications, while also studying design. As a team, we have honed and mastered our distinct skill sets. Martha is more focused on the administrative process and the logistics of event planning. I handle the creative aspect, collaborating with talented individuals to define the style of each unique event we create. How did you end up in Cabo? After spending 4 years studying and working in France, I wanted to be in Baja, near my family. Cabo seemed like the right place to continue my career. Prior to opening Signature Weddings in 2007, I worked on events for a number of hotels. In 2004, I was working in Mexico City when I was asked to join the team at the One & Only Palmilla as Director of Groups & Special Events. That same year I met the love of my life and got married in Cabo! What is your favorite thing about destination weddings? We love the entire process of planning a destination wedding because it offers a unique way to experience and celebrate love. It is a rare opportunity to bring your closest family members and friends together in a beautiful, exotic location. The atmosphere is relaxed and the energy is upbeat. Each activity and event is an intimate celebration of love! And we have been fortunate to meet so many extraordinary couples, many of whom we are lucky to call friends for life. 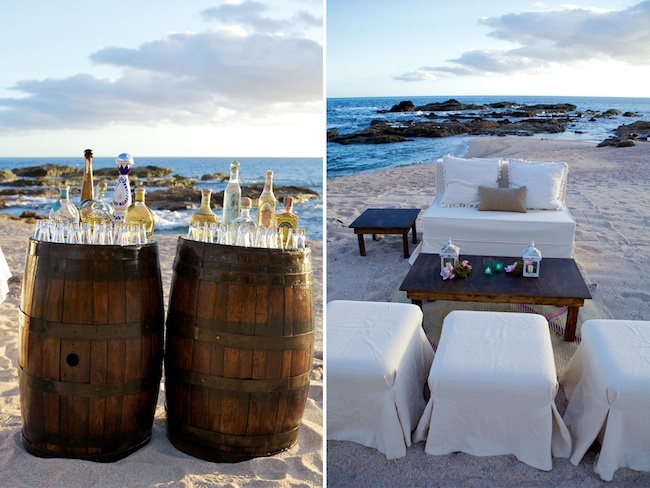 Where’s your favorite destination wedding venue in Cabo? Choosing a favorite venue is like picking your favorite child! Esperanza is among the best resorts in Cabo, with world-class staff, service and amenities. We have a great working relationship with their entire team and have designed amazing events together. Can you describe your artistic style when it comes to designing events? Our style is totally organic. Martha is a great springboard for my mind’s creative gymnastics! Oftentimes, I will present a thought or an idea and she will know instinctively how we can expand and execute it. We are totally in sync. Our style and mood is adapted to each event, characterized by our individual client’s unique style and event goals. I take an interior design approach and first analyze a venue based on event logistics (group size, demographics, etc.) and the aesthetic and ambiance we want to achieve. Then, collaborating closely with the client, we select the core elements of the event that will set the tone for the remaining details. Working with the right team of vendors is key. Sharing and working with vendors you trust establishes a working environment ripe for creative growth and amazing results. You’ve also traveled all over. How has this impacted your design style? We love traveling! It is a great source of inspiration for our work. I am always fascinated by each city I visit and the unique personality and strong character that defines a place. I love exploring the handiwork of local artisans, their talented craftsmanship and expertise in a specific trade. I always imagine how this artistry can be interpreted into wedding decor. My favorite places for inspiration are vibrant cities like London & Paris. Martha loves NYC and gets reenergized every time we travel there! What’s the most unique addition to a wedding you’ve seen? 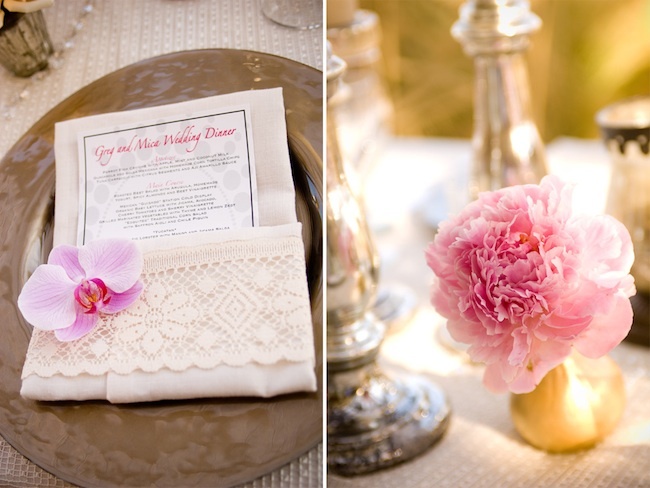 The most unique details have a defining, unifying element that work within the scheme of the wedding, the overall theme and aesthetic. I especially love small, sweet details, personalized favors, special stationary that is thematic though not too literal, hanging elements, etc. These components add symbolism and depth, giving the event a heart and soul. I am always looking for unexpected places to drape fabric, suspend lanterns and add elements that really enhance the mood and ambiance we are trying to achieve. It is important to know when to edit yourself, as well. Budgeting can be a big concern with brides when it comes to a destination wedding. How do you help them manage that? We encourage our brides to be budget-educated from the get-go. The overall wedding budget should be discussed as a couple and family. You may consider creating a separate wedding account to stay organized. When you share your budget with us we can discuss your priorities, help manage your expectations and understand costs involved. We will encourage you to make allocations based on your goals/priorities: destination and travel, size, flowers, decor, photography/cinematography, music, food/beverage, invitations, gown. And remember, Cabo and many of the popular destinations where we work across Mexico and the Caribbean are luxury destinations. Prices are not dissimilar to what you might find in major cosmopolitan U.S. cities like New York, LA and Chicago. 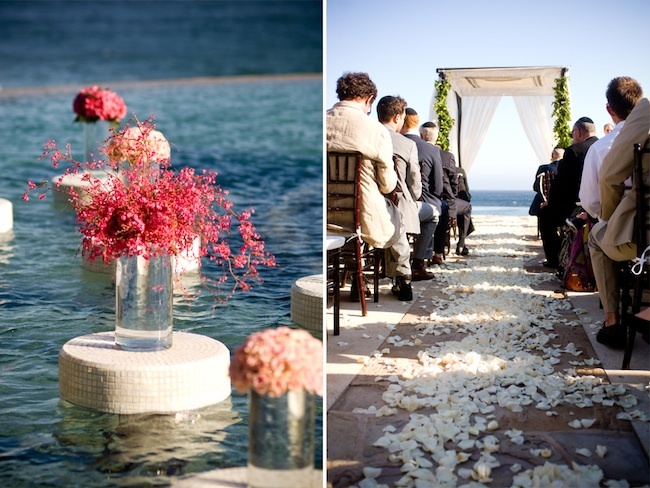 What do you think will change about destination weddings in Mexico over the next five years? Extraordinary and enchanting locations continue to emerge across Mexico, from the more popular vacation destinations to the more obscure, private secluded retreats, and options are really available for every destination bride to satisfy her unique vision. In Mexico, there is a celebratory, festive energy and a national pride that is infectious and constantly growing and appreciated across cultures. We have become known world-wide for our genuine hospitality and even our unique sense of style and this tremendous recognition and our global presence continues to propagate. We think wedding planning and event design companies based in Mexico will continue to become more specialized. And we hope for healthy competition and honorable, transparent services. What do you do when you are not planning events? I spend time by the beach! My family has a little cabaña in the Pescadero area and its a great place to rest, think, write and rejuvenate. I also spend some time at my family’s home in the San Pedro area. Their house is always full of people & food! It is the Mexican way. I love to relax over dinner at a new restaurant we’ve discovered, with a glass of wine and my beloved husband. Sounds lovely! Thank you both for the information about destinations weddings in Cabo. I’m sure a lot of our readers will be planning them soon! Please feel free to leave any other questions for Sarai and Martha in the comments. Photos provided by SIGNATURE, Event Consulting & Design. Photo credits: Chris + Lynn, Tony Morey and Jerome Dieu.